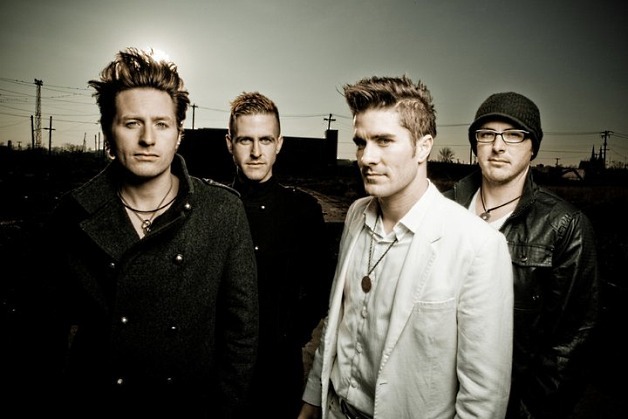 Today, we're spending Seven Questions In Heaven with Moon from Greek Fire. Rock. It's a tip of the hat to the classic rock songwriting approach peppered with a very new twist on '80s and '90s pop. I encourage you to listen and hear for yourself! Lenny Bruce. Andy Kaufman. Oscar Wilde. Francois-Marie Arouet. My first CD was Green Day's Dookie, believe it or not. My first tape was a Beach Boys tape and the Top Gun soundtrack. You'll soon be hitting the road with the Rockstar Energy Drink Uproar Festival. What are you looking forward to the most about the tour? Any bands you're excited about sharing the bill with and getting to see live? Hanging with some of our buds! We go way back with the P.O.D. and Papa Roach guys from all sorts of shows we've played together in the past with our other band. Love those guys and their live shows. Also excited to get back to a few of the venues and cities that we just played on this year's Vans Warped Tour. Excited to see some of our new family (fans) come back and see us. Proceeds from the sale of your single "If This Is The End (The Sound of Belief)" are going to your drummer, Johnny Venus, who is currently battling leukemia. How is the fundraiser going? How is Johnny doing? It's going well. It's hard to sell music at all these days but since we recorded it for free thanks to all the donated facilities and time that people gave to the cause, we were able to give every cent from the song/video to his fund and LLS.org. He is doing OK and hanging in there with a lot of treatment to go. As he would say, he's taking it "day by day." Thank you for asking. As a band, where do you hope to be five years from now? The first band playing in space. Hope to be working on new music and growing as artists. Finally, you're the opening act of a music festival. You can get any five artists, living or dead, to perform on the bill with you. Which five do you choose and what song do you all perform as the final jam? Salvador Dali would be painting the backdrop while Sam Clemens raps over a chilled jam featuring Greek Fire, Sting, Pink Floyd, and Otis Redding. Purchase the charity single, "If This Is The End (The Sound Of Belief)," via iTunes or Amazon.